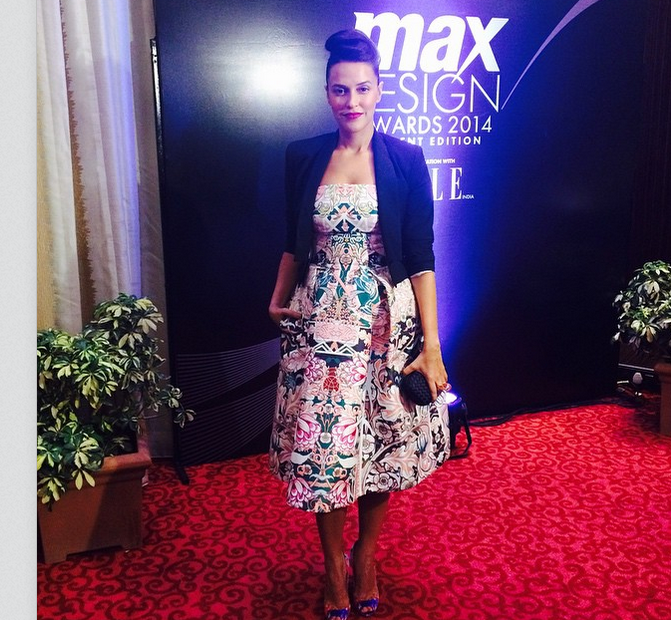 Neha is wearing Mary Katrantzou. She teamed it with blue shrug and blue sandals. She carried a Bottega clutch with it. She tied her hair up and finished the look with red lipstick. She looked nice sans any more accessories. 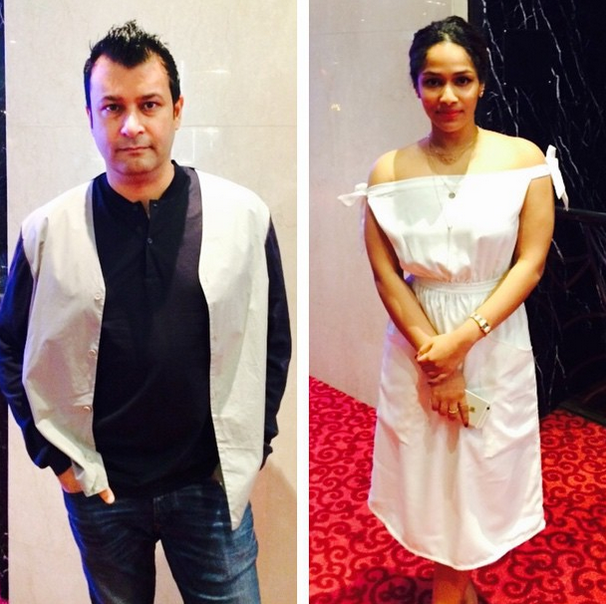 Masaba and Ashish Soni were the judges for the evening.